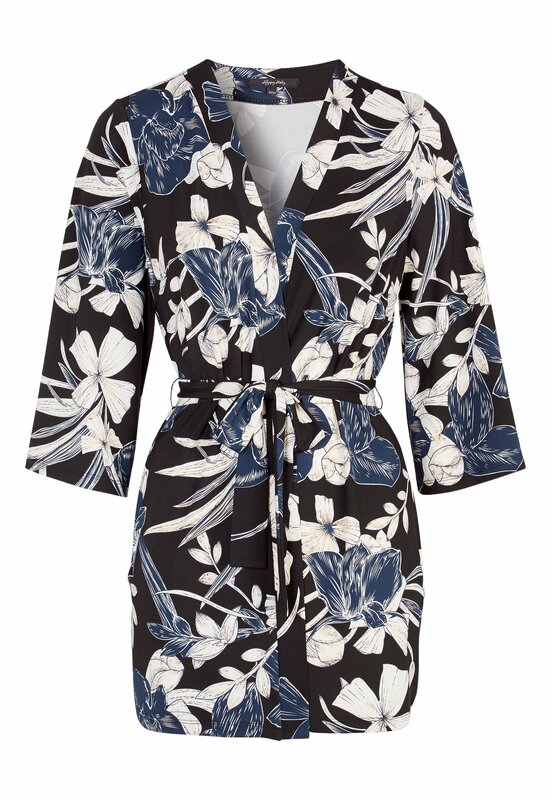 Beautiful, patterned kimono from HAPPY HOLLY. 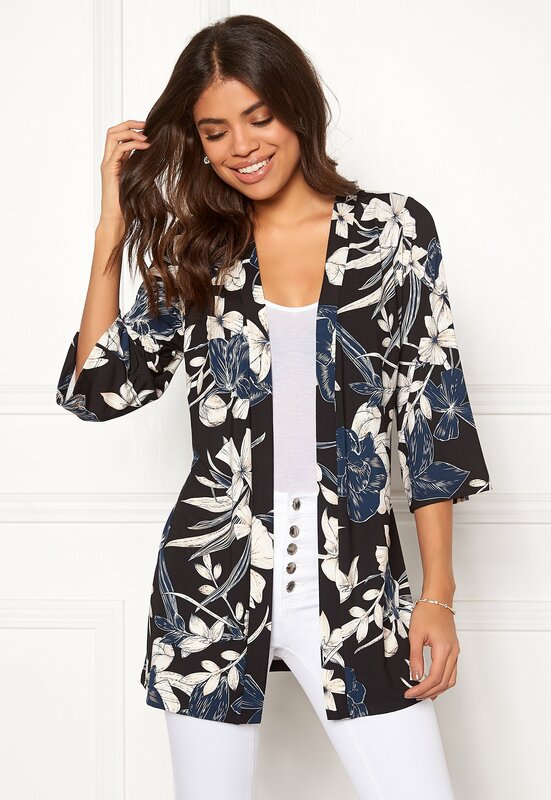 The kimono has 3/4 sleeves and a detachable tie waist. Can be worn as a set together with the Hazel Tricot Pants art. no. 605155. Length from shoulder approx. 80 cm in size 36/38.